Welcome to the chat section of the BuckClan History Game. This is mainly to keep track of the family trees and offer ideas for and from players. -Every post will be 1/12 of a season, beginning in Spring. ---Only one prophecy at a time, cats included are five MAX. -Gatherings will be held on 6/12 of every season. -----BuckClan, MonsterClan, HickoryClan, and WispClan. ---You can only skip one gathering per year. You cannot skip two gatherings in a row. ---When going to a gathering, The leader, Medicine Cat (Senior), and five cats (Warriors/Apprentices) are to attend the Gathering. No more than the 7 cats. -Do not kill off the whole Clan, you are given max 3 cats to kill each turn. ---Not every post needs to kill a cat. That is why the 3 death max rule is there along with adding the time to apprentice every kit. -Kits born are to be given only one worded name. Do not add the -kit suffix. ---Kits and apprentices are only given one worded names, so then you can have ultimate freedom in choosing their warrior name. Either making their original name a Prefix- or -Suffix as you please. -Every three days without interaction, I make a new post. -The cats in this starting Clan allegiance are NOT related to each other in any way! The starter cats are immediate free game. (Daisy) Daisy Flower - pale cream tom with brown eyes. (Cloud) Cloud Life - pure white tom with golden eyes. (Calf) Calf Kick - fat brown queen with a gashed leg and heather eyes. (Wither) Never Wither - large greenish-gray tom with black eyes. (Wicker) Wicker Nest - a fat black queen with heavy fox bites and amber eyes. (Weather) Calm Weather - pale white time with brown eyes. (Gray) Gray Shine - a small dark gray tom with brown eyes. (Daisy) Daisy Belle - a weak brown tom with olive eyes. (Glade) Mountain Glade - short legged yellow tom with chestnut eyes. (Webby) Silken web - tortoiseshell tom with a stumped tail and green eyes. (Flicker) Blinding Flicker - abnormally large tom with the front body a blue fur, back fully black and rose eyes. (Ash) Fallen Ash - gray speckled tom with a blue tip tail and ears and yellow eyes. (Peach) Peach Tree - soft peach tinted queen with black speckles down her cheeks and heather eyes. (Light) Star Light - pure black tom with golden eyes. (Marigold) Marigold Bouquet - cream-furred queen with one red eye and other brown. (Quiet) Quiet Slumber - a loud dark gray queen with blind gray eyes. (Step) Climbing Steps - sleek gray-green queen with a long tail and heather eyes. (Witch) Witched Apple - blue-black queen with glazed mint green eyes. Wrinkle - thin furred ginger tom with blue eyes. Pocket of Poseys - warm blue queen with brown socks and yellow eyes. (Cotton) Fluffy Cotton - a thinly rose furred queen with a curly, fluffy tail and heather eyes. (Newt) Striped Newt - pudgy black tom with a bright orange chin, mouth, and tail. Their eyes a amber-yellow. (Hedgehog) Bundled Hedgehog - pale blue queen with golden flakes on her shoulders and brown eyes. (Thorn) - pale blue tom with purple eyes. (Fruit) - fat dark gray tom with yellow eyes. (Antler) - black she-cat with white socks and blue eyes. (Vixen) - Tiny brown and white she-kit with pale blue eyes. (Cloud) - Fluffy white gray tom with pale gold eyes. (Side) - Small russet tom with green eyes. (Wren) - Large white tom with pale green eyes and russetish colored cheeks. (Rain) - pure gray tom with black freckles and large green eyes. (Ice) - pale white tom with dots of gold running down his legs and blue eyes. (Oil) - odd furred golden queen with brown and white swirls down her neck. Her eyes are a soft green. Prophecy 1 - A heavy rain fills the camp, and a cat of the sun will drain away the water. Prophecy 2 - After waiting in the night out of the Shadows will bring blood and fright. Something awaits unseen by the clans just watching from the sidelines and making them think. Prophecy 3 - A spider will crawl into the darkness and light the future with its webs of splendor. going on vacation and wont have access to a computer for a while! I really like the role system you have. Its really nice to have in case we get a lot of names to keep up with. Thank you! I'll keep everything to know here, and if you have any ideas or plots feel free to put them up! - Buck Star has announced a skirmish with foxes has occurred, Cozy Tick is in the medicine den for a while. - Twisted Snout is expecting Smoky Web's kits, and moves to the Queen's Den. - Death Sky has brought back a kit they found on the far edge of BuckClan territory, Meadow is now being fostered by Cherry Lick. -The fox has returned and a patrol takes care of it, but not without the fox claiming one of Buck Star's lives. -Two loners have entered the territory, asking for sanctuary. Rabbit and Tiptoe are now apprentices. -Tiptoe has been too nervous around the warriors and seems to hang close to Death Sky. -Cozy Tick has been released from the Medicine Cat den and has returned to their warrior duties. -Sniffle and Honey have been growing close these past few days. The Clan suspects the two will be mates by the time they're warriors. -Smoky Web has gone missing, and in turn, Hazel Talon is made temporary Deputy. -Death Sky approaches Buck Star with Tiptoe glued to her tail. Tiptoe admits being more interested in the medicine den and the leader decides to release his apprentice onto Death Sky. -Sniffle, Honey, and Rabbit have chased off an opposing Clan patrol from trespassing and had impressed Buck Star. They were given a final assessment and given their warrior names: Cloudy Sniffle, Bitter Honey, and Rabbit Ears. -Buck Star brings Death Sky, Tiptoe, Cloudy Sniffle, Bitter Honey, and Rabbit Ears. -The other three Clans HickoryClan, MonsterClan, and WispClan are already there- the leaders waiting on the Split Sycamore for Buck Star to take his branch. -HickoryClan starts off by announcing the birth of four new litters, WispClan passively commenting how half of the kits are only there because of half-clan affairs. -Tiptoe meets the other Clans medicine cats. HickoryClan's Noodle Flick recognizes Tiptoe and happily talk about their old kittypet lives much to the dismay of the other cats. -MonsterClan's leader Monster Roar warns Buck Star, Wisp Spirit, and Hickory Bite that recently, cats have been moving near the forest and been leaving prey around and luring foxes closer to the Clans. -WispClan also includes on the situation, noting that two warriors, Hollow Foot and Cow Flick have gone missing when separating from their patrol to investigate the fox activity. -BuckClan notes of Smoky Web's disappearance and it causes the Clans to grow weary. With that, the gathering is over. -Buck Star calls the Clan in for a meeting, recapping the gathering and news of missing cats from WispClan. He advises the patrols to be no smaller than three cats per groups. She worries over what possible danger BuckClan might run into. -Tiptoe begs Death Sky to take a warrior with them. The older queen groans as she, Tiptoe, and Yellow Tuft leave camp for herb harvesting. -Gaze Stone, Cozy Tick, and Rabbit Ears return with a small group of cats they say were hunting near the border. Buck Star confronts them to find if they were the one responsible for leaving prey for the foxes to find. They plead to not be hurt, telling the leader that they were from the twoleg place not far past Monster Clan, and that they've had to migrate as the twolegs had left traps to capture any loner or rogue that fell for the food left inside. -For now the queen Pony, her kits Gray and Daisy will rest in the nursery. Young Rocky will nest in the apprentice den, and Dos and Ale will rest with the warriors. -Rocky shows great love for hunting and searching around the Clan, asking Buck Star to allow her into their ranks. She is now an apprentice. -Pony to asks to stay with the queens as she wants her kits to be safe. -Ale and Dos decide to leave sometime later to check out their old home. But they'll return in due time. -Twisted Snout gives birth to Wither, Wicker, and Weather. - Beta Feather gets a heavy cough. He says its nothing that serious but Death Sky keeps a close eye on him. - Buck Star grows more concerned over Smoky Web's prolonged disappearance. She sends out patrols to try and locate him. -Buck Star sends Hazel Talon, Bitter Honey, Rabbit Ears, and Cozy Tick to search for Smoky Web. They only return with a kit's account that tells them that she saw the missing deputy wander into the twoleg place south of BuckClan's territory. -Rocky is apprenticed to Cozy Tick as he's the only one capable of handling her sporadic behavior. -Meanwhile, Pony decides to join the queen's den as a permanent queen. - Yellow Tuft requests that he journey into the twolegplace to find Smoky Web. Buck Star eventually agrees and he starts his journey that day. - Beta Feather seems to be doing better but Death Sky worries about his weakening lungs. Tiptoe watches intently as part of his training. - Bitter Honey and Cloudy Sniffle become mates just as everyone expected. -With summer coming, Buck Star announces a plan to inspect the fox's den to assure they have permanently left. -Tiptoe is shaken awake by Rocky, but the tom screams: "Don't look at the sky! The sunshine isn't here yet! It's too soon!" Everyone is confused while Death Sky confines Tiptoe to the Medicine den for the day. - Cherry Lick's litter become apprentices. Their mentors are Bitter Honey, Cloudy Sniffle, and Buck Star herself. - Rocky is excited to have so many new apprentices to train with. However, her energy bothers Calf. -Death Sky and Tiptoe come to Buck Star's den in a flurry, warning of a "Heavy rain that filled the camp, only to drain when a cat covered in sun found them." -Cloud and his litter are brought out to traverse the entire BuckClan territory for the first time. Excited with their new freedom, the apprentices keep them and their mentors out all day until they return mouths stuffed with fresh prey. -Ale and Dos come back, telling how they've found their former home being moved by twoleg monsters with huge claws that tore the earth up. Dos is happy to see his mate and kits again. - 3 loners join Buckclan, and they don't seem to fit in. They are given warrior names. - Holly Flower warms up to Gaze Stone eventually, hanging out with him more often than Ocean Glare and Bramble Drop. -Meadow is apprenticed a bit later due to the loners' arrival and is apprenticed to Hazel Talon. - Holly Flower announces she is mates with Gaze Stone. - Ocean Glare disapproves of Holly Flower's relationship and turns her back on her and stops talking to her. -Buck Star, Death Sky, Ocean Glare, Cloud, Daisy, Calf, and Meadow attend the gathering. -The apprentices are overly excited and cause Ocean Glare to scare them off into the crowd. Buck Star tries calming the queen but is ignored as Ocean Glare pads into the crowd. -The Clans begin reporting their woes, another cat had gone missing. A HickoryClan apprentice by the name of Socks had disappeared mid-hunting assessment. -Everyone worries more as this now the fourth missing cat. Not many, but it is visible that everyone is shuffling their paws. -Monster Roar had announced his Clan will not be present the next gathering if any of their cats go missing and put his Clan under lockdown. Buck Star and Wisp Spirit are shocked to see the tom stand by his word as the leaders implore him to not to. -Hickory Bite seems to agree with Monster Roar and to say she'll have her Clan on lockdown but will attend the next gathering regardless. But none of her warriors will attend. This causes a minor uproar with the HickoryClan attendees. -Buck Star announces that the foxes are gone from BuckClan territory, but Wisp Spirit only responds with the foxes now trying to reside in their territory. -Buck Star promises to send a patrol to assist in removing the foxes from the Clans permanently. - Rabbit Ears asks Buck Star for the next apprentice. Buck Star says yes, but he also says that he needs to be careful, or else the apprentice will be pulled away. -Yellow Tuft returns with Smoky Web. The missing deputy disoriented from a long absence, but unsure if he would accept his old role for being gone for so long. Twisted Snout is relieved to find him alive and introduces him to their kits. -All kits are now apprenticed, but with how many there are, Buck Star decides to enlist the help of the queens to mentor everyone. -Rocky is given their warrior name, Rocky Jump. As Tiptoe receives their full name, Silent Tiptoe. -Holly Flower and Gaze Stone announce that the queen is pregnant, while this garners the excitement of their clanmates, Ocean Glare seems extremely peeved at the queen's announcement. Death Sky warns her to 'swallow that damn salt of hers' and be happy for once. -Rocky Jump and Silent Tiptoe seem to get along pretty well, but Death Sky warns them to be wary of their relationship. -Meanwhile four new faces pop up, Ray O' Shine, Eggy, Winston, and Petey come from the same twoleg place Rocky Jump, Dos, and Pony have. They reside in the Elder's den for now. 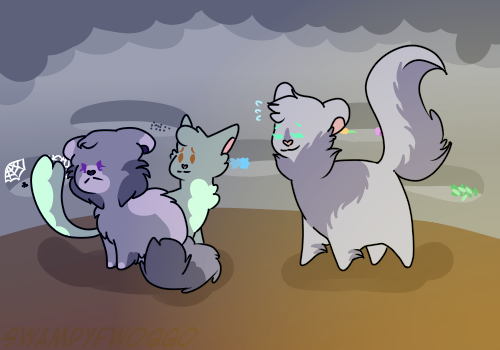 - Death Sky starts seeing ghosts around camp, including Ale and Beta Feather, and one cat named Moon Gaze. They tell her the same prophecy; A heavy rain fills the camp, and a cat of the sun will drain away the water. Death Sky sees to this, and they come more frequently, now in her dreams and thoughts. - A strange bright golden she-cat requests to see how clan life is. She calls herself Sunshine that Washes Away the Lingering Shadows, but she prefers to be called Sunshine. She claims she comes from a tribe call Tribe of Smoking Mountains. She also claims more of her tribemates will come soon. - Bramble Drop suspects that Sunshine comes from a faraway volcano that had erupted and all her tribemates got scattered. He becomes friends with her, talking with her when she is alone. -Even with Sunshine joining, Tiptoe is not certain of which cat will be their savior until a noon hunting patrol returns with prey. And there he sees it, Ray O' Shine standing high above the camp hill, the sun running through their pelt as if they were the sun themselves. Tiptoe stays quiet about this, not even telling Death Sky as he continues looking for the 'rain that will flood the camp'. -Eggy shows interest in the Medicine Den, considering becoming an apprentice to learn how their herb remedies work. -During a border patrol, Wicker is fatally wounded by a returning fox family and weakly cries as he's carried back to camp. The Medicine Cats are unsure if he'll live long enough to heal. - A torrential rain hits soon enough, and it floods. Calf, Weather, and Gray are stuck, wailing and crying for help. Death Sky tells Snowstar to send Ray O' Shine to rescue them. Snowstar sends her, and after she gets the three, a ray of sunshine lights on her, making her glow. Calf is injured badly, a gash in his leg, but the others have minor injuries. Ray O' Shine decides to fully join the clan, followed by Winston and Eggy. Only Petey remains unsure. - Eggy still dreams of becoming a medicine cat, and he asks Buck Star if he may become one. She agrees, and he joins Death Sky and Silent Tiptoe. -The rain is still prominent, but it's not as horrible as the first rainfall. But the clan decides to keep their nests higher uphill until the water level lowers. -Wicker is still suffering and with the most recent flooding, Silent Tiptoe brings along Winston and Rabbit Ears to ask for help and herbs at the MonsterClan territory North-East of their home. 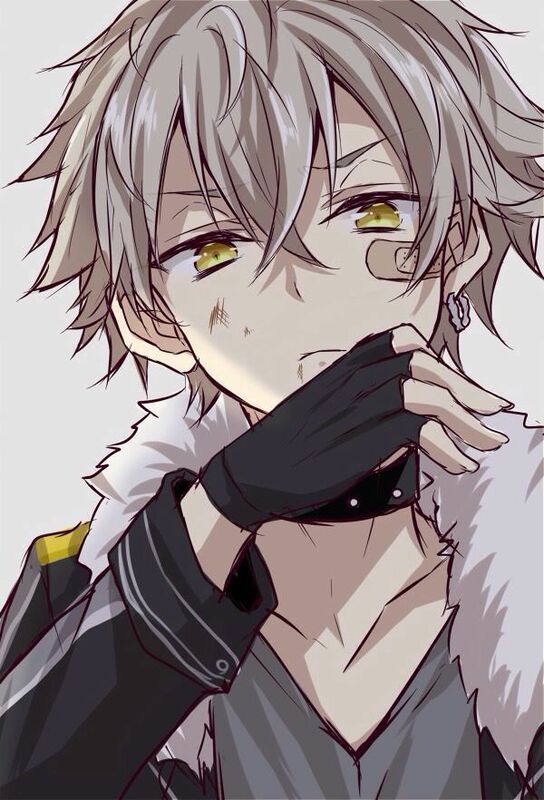 -While trying to figure out a way to drain their camp of the water, Gray slips in the mud and near drowns. Buck Star rushing in after the tom and losing a life in the process. -Pony announces that she is pregnant yet again with Dos' kits. - Holly flower announces that she is pregnant with Gaze Stone's kits. - Calf's wound is infected, and Death Sky is trying her hardest to take care of her. -Silent Tiptoe and his group have not returned as of yet, Buck Star worries that with MonsterClan's plan to go under lockdown, the younger medicine cat and his group may have been taken by the Clan. With no sign of their return, Buck Star decides to leave on their own to the North-East Territory of HickoryClan. Hazel Talon is left in charge. -Wicker believes she feels well enough to leave the medicine den, but the wounds have left her extremely weak. Hazel Talon agrees to let her continue her training but confines her to minimal work. -Cloud and Meadow hurry with their hunting assessments and don't return overnight. The next morning they do, frostbitten and carrying mouthfuls of prey for the Clan to eat. They are given their full names of Cloud Life and Plentiful Meadow. -A very intimidating tom approaches BuckClan wishing to form his own clan. Buck Star tells the tom how it works saying that the tom must talk with Starclan. The tom decides to stay in BuckClan for a few days so he can make sure his cats are going to be safe once they arrive. -Death Sky receives a prophecy about something frightening once Buck Star hears it. -Prophecy - After waiting in the night out of the Shadows will bring blood and fright. Something awaits unseen by the clans just watching from the sidelines and making them think. -With the circumstances of everything going on, BuckClan is saddened as Halzel Talon announces they will not go to the gathering to prepare for the upcoming Winter and stockpile prey. -Buck Star returns late into the hours surprised to see his Clan as he and HickoryClan and WispClan did show up to the Gathering with her in tow. Now the issue of Silent Tiptoe, Winston, and Rabbit Ears remains. -Buck Star meets with the newcomer Sneak and welcomes him, noting the only free land around big enough to fit a new Clan would have to be North of MonsterClan territory and West of WispClan. -Death Sky lets Calf return to their duties, both injured apprentices now restricted to camp duties. -Holly Flower nears her kitting, and the Clan grows excited. -A group goes to MonsterClan territory to retrieve their missing cats. All return roughed and bitter, telling Buck Star that she'll have to go the next time for Monster Roar to release the captive cats. -Rocky Jump joins the Nursery, but doesn't say who fathers her expecting kits. -A cat arrives saying her name is Juniper. Along with her is a cat named Jade. Both are very badly battle-scarred and immediately when getting into the camp run to Sneak who is pleased to see them. -Death Sky tells Eggy about his suspicion of Sneak and the other two newcomers. Eggy tells him nothing is wrong about them. They are average cats. -Buck Star makes a group to MonsterClan to regain their missing cats. It turns out successful, but at the cost of Buck Star losing a life fighting a paranoid Monster Roar. -Holly Flower gives birth to 6 kits, garnering the Clan's excitement and worry. -Trying to assist WispClan in their attempt to remove the foxes from the Clans once and for all. Most of the attack on the foxes was fine but in the midst of the battle, Smoky Web and Wither had died alongside their clanmates from deep wounds. -During the vigil Hazel Talon is found dead in the middle of the elders' den. The clan suspects that it was Sneak, Juniper, or Jade, but after they leave another cat is found dead. It's Rabbit Ear. -Cozy Tick is made the deputy and given Meadow as an apprentice. -With so many deaths, Buck Star boosts up the group number from 3 to 5. Forbidding any apprentices from leaving the camp unless accompanied by a warrior. -Petey leaves much to the sadness of Eggy. -Calf pushes through their warrior assessment and is given their full name, Calf Kick. -Sneak arrives again to say hello to the cats and tell them about the new clan. It is called HollowClan. His new name is Sneaking Shadows. -After Sneak leaves a cat arrives. His name is Fluttering Butterfly and he collapses before he can tell why he is there. He is watched by the medicine cats. -Wicker and Weather become full warrior. Now known as Wicker Nest and Calm Weather. -Midday, Pony gives birth to a single kit by the name of Glade. -Silent Tiptoe asks to step down, as he reveals himself to be the father to Rocky Jump's unborn kits. Death Sky almost loses it when the tom admits his affairs, but calms down as Buck Star promises Silent Tiptoe will be kept from Medicine Cats duties until his kits are apprenticed. -Fluttering Butterfly finally wakes up and tells all about his story. -New knowledge, new problems. Buck Star decides to use the next gathering to garner WispClan and HickoryClan's help to tackle Sneaking Shadows for his crimes. -Ray O' Shine uses her spare time to bring Fluttering Butterfly prey and sit with him. Becoming well acquainted with the weak tom. -A small group of young cats arrive, asking to join for the twoleg place has lost more grounds. They are apprenticed and shown around the camp. -Word arrives from HickoryClan that their camp has been attacked by these cats. -Cherry Lick goes missing in the middle of the night. Buck Star brings only brings Bramble Drop, Daisy, Gray, Danger, Sprinkle, and Pumpkin to make sure the camp is mostly protected from any case of attack and to assure the apprentice's protection under gathering rules. For once, all Clans are there. MonsterClan's deputy, Dawn Glow, turns out to be standing in for MonsterRoar. Telling the others that three more cats have gone missing at this time. Tree Kick, Crimson Eyes, and an expecting queen Morning Breeze. In the panic, Buck Star tells the Clans of Sneaking Shadows and his suspected murder of Hazel Talon and Rabbit Ears. Asking the other Clans to join her to take down HollowClan before Sneaking Shadows gets gutsy with his power. Dawn Glow and Hickory Bite are all in for it, yet Wisp Spirit is still unsure. The three leaders (and deputy) ultimately decide to meet back in the same spot again at 10/12 of Winter to discuss their plan. And with that, the Gathering ends. -Fluttering Butterfly and Ray' O Shine reveal that they are mates but they've chosen to not have kits until Hollowclan is no longer a threat. -A tom named Slate joins as an apprentice. He seems like a nice cat. -Fluttering Butterfly is made a full warrior. -With how long it has been, Buck Star comes to Sunshine worried about the long waiting period she's had for the tribe to arrive. Unsure, the Clan has decided to risk spreading out more in their territory to keep a lookout for any tribe cats. -The Clan are instantly wary of Slate but don't press him for info, trusting the apprentices to help him open up and gain his trust over time. -Gray and Daisy come to Buck Star demanding they have their final assessment to help against the upcoming attack on HollowClan. -Bitter Honey joins the Queen's Den expecting Cloudy Sniffle's kits! -Cozy Tick goes missing. The clan freaks out about the disappearance of the deputy. -Winston is made a stand-in deputy. -Gray, Daisy, Danger, Pumpkin, and Sprinkle are all made warriors. -Buck Star, Monster Roar, Wisp Spirit, and Hickory Bite meet as promised. Deciding the first of Spring they will attack HollowClan and reclaim any living cats Sneaking Shadows may have taken. -Holly Flower's kits are apprenticed! They all annoy Slate, but they love him like he were part of their litter. -Rocky Jump nears her kitting. -News arrives from a patrol when they scent Sneaking Shadows on their territory. Silent Tiptoe, who was on the patrol, is later found missing. -A new visitor arrives. He's large and doesn't state his name until he sees Fluttering Butterfly. He is named Hailing Storm and he is Fluttering Butterfly's brother. He says he will be there only for a few days as he is travelling to WispClan and he needs some strength. -As the attack on HollowClan rolls near (1/12), Buck Star and Winston go back to the Split Sycamore to meet once more with the other Clans' leaders and deputies. Every senior warrior is put on duty (Gaze Stone to Ray O'Shine in order) to surround the camp and make sure no cat gets in or out. -Rocky Jump gives birth to two kits, whom she's named Quiet and Step for she believes Silent Tiptoe is dead. -Death Sky voices her thoughts about Hailing Storm to the Clan, saying that he and Fluttering Butterfly were not to be trusted since they both came from HollowClan. Ray comes to the defense of Butterfly but does agree that Hailing Storm's arrival has made her question why he came to BuckClan when WispClan was so much closer HollowClan. - The battle with Hollowclan goes south because in the morning they find the dead bodies of Cozy Tick and Cherry Lick on the border along with Monsterclan and Wispclan cats. But surprisingly no Hickoryclan cats. -When the clans arrive at Hollowclan's territory they are ambushed and Hailing Storm reveals his true self. Monster Roar loses his final life in battle and Monsterclan is appalled as the Hollowclan cats are ruthless and don't talk things out. The clans regroup at the borders after the fight where they also collect up some of the missing cats. Silent Tiptoe is still missing along with Wispclan's Deputy. -Glade is apprenticed to Plentiful Meadow, the young warrior nervous over having such a small cat under his wing. -As the Clan cools down, the restriction to enter and leave camp is still in order as Buck Star now orders the hunting groups to stay strictly in pairs to ensure no more cats become missing. She also permits that any outside cats must be chased out, no more risking any traitors amongst their group. -Petey returns, forced under watch since Eggy, Ray O' Shine, and Winston promise to make sure the queen isn't any danger to the Clan. Petey is quick to defend herself as she shares news of the twoleg place. -Hollowclan is expanding their borders but no cats ever see any patrols around the borders but everyday the clan smells new scent markers of Hollowclan in their territory. -Silent Tiptoe is found alive by a border patrol. He's unconscious but alive and breathing. -Death Sky comes with the idea of planting poisoned prey during their hunting patrols are leaving it behind for HollowClan to "steal" later. -Petey arrives again waiting for a patrol to talk to her, noticeably covered head to toe in claw marks. Long story short, the cats she suspected to be holding the clan cats hostage were a loner group that are PROTECTING the Clan cats from Sneaking Shadows' lingering clanmates. They agree to come to the warehouse soon to check in with the Loners and Missing cats. -Slate is made a warrior, fully named River Slate. -Bitter Honey nears her kitting, the Clan becoming more hunkered down in response. Welcome ☀Ｗａｓｈｅｄ Ａｓｈｏｒｅ☀ , to the game! This is the chat, everything you'd need to know form rules, roles, and timeline! Oh, these are the other Clans. A lot of their allegiances are left unfilled so then you guys can add your own characters. Deputy: Dawn Glow - Lanky gray queen with a tail stump and white legs that fade to dots with yellow eyes. Shadow Dusk - Small black tom with purple eyes and a dark gray tail. Heap - Solid cream tom with pink eyes and white paws, muzzle, and tail-tip. Amber Eyes - Tortoiseshell queen with white spots and amber eyes. Medicine Cat: Toad Cheeks - Plump blue-gray tom with pale cheeks and blind mint green eyes. Sharp Eye - Orange tom with one blue eye and a short tail. Sun Flame - Golden queen with silver eyes. Cream - A calico queen with yellow eyes and a white face and underbelly. Medicine Cat: Noodle Flick - Thinly cream queen with red ears, brown paws, and amber eyes. Pond Moss - Creamy tan tom with pastel blue eyes. Rose Petal - Gray queen with a hint of pink and brown eyes. Golden Shine - Blonde tom with red eyes and a plumy tail. Glitter Tail - Pure black tom with blue-white spots trailing up their tail and brown eyes. Twilight - White queen with dusky purple eyes. Fish Snow - Frail black tom with dull and faint purple eyes. Hey guys, if you guys have any issues with this game at any time, please tell me. I really don't want things to horribly derail because one person feels like they're being treated unfair in this game. Complaint #1- I am an IDIOT and this is the second instance that I've apprenticed kits a post or two late. What the heck me, get you're freaking head in the game. I was thinking of a new section: Medicine Cat Patients. We might need them so we don't forget which cats are sick, or just adding at the end of their description: Sick. I also have some characters for the other clans. Tree Kick - Brown tabby tom with green eyes and strong, tall dark brown legs. Sharp Eye - Orange tom with one blue eye and and a short tail. Thanks Waves! I'll be sure to add that in. And also thanks for adding to the other Clans! I'll add them onto the roster post right now! Hewwo guys! I updated the Deaths, Prophecies, and Family Tree posts up to 2/12 of Fall. So uh, I've been regarding Buck Star as both he and she. Is everyone okay with me changing their description to being genderfluid/non-binary? And I was thinking- if a kit or apprentice died before receiving their full name, then the leader should give them their name the same day they die. Kind of a vigil send off. Would that be a good idea or..? Meadow has been a warrior for a while now (Plentiful Meadow), that's a mistake on my part! 7/12 of Fall is missing???? Every new year, New cats will be added to the other clans and old ones will shift depending on ages. I'll be sure to fill out the three other Clans with input from your guys. Wild (Wildclan) I am not going to fill in the majority of HollowClan since you've introduced the Clan and Sneaking Shadows into this game. So I guess I will fill Hollowclan out. I have some cat ideas so this'll be fun to fill out. Course course. If you want me to help, I'll be happy to! Medicine Cat: Poison Ivy - A small lithe tom with a gray pelt and blue eyes. Senior Warriors - older clanmates capable of becoming deputy or retiring. Senior Warriors are great warriors. Sure... maybe they're qualified.....to be leaders? Oh hey, here's a pic of Tiptoe being handed over to Death Sky.